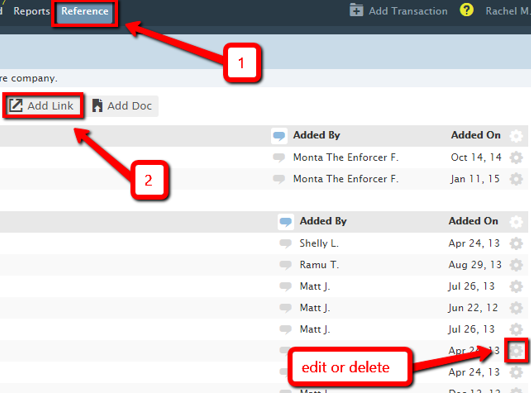 The Reference area can be used to store commonly needed website links so agents and admins can access them quickly. Click Reference from the top of any page. From the Reference page, click [Add Link]. Enter the link name and URL, and select a category. Click [Add Link] to save the link. You’ll see your link displayed in the selected category. You can change a link by clicking the Gear then [Edit URL] or [Delete] to remove the link. To access a link, click its name. The link will open in a new browser window.